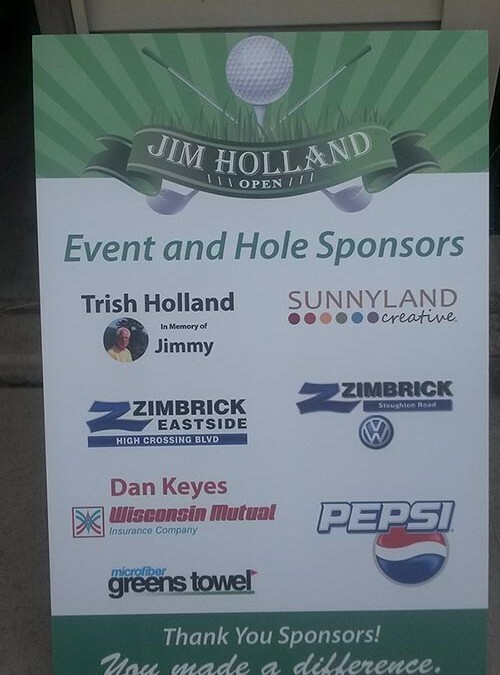 I would like to take time to thank you for all your help and support with the Jim Holland Open. It was a very successful and fun day. Everyone loved your towels and tees. I made a donation to the UW Carbone Cancer Center for $8604.00. This would not have been possible without your donation and support. Please visit www.Facebook.com/UWCarbone . They did a press release and a photo of the check being presented.